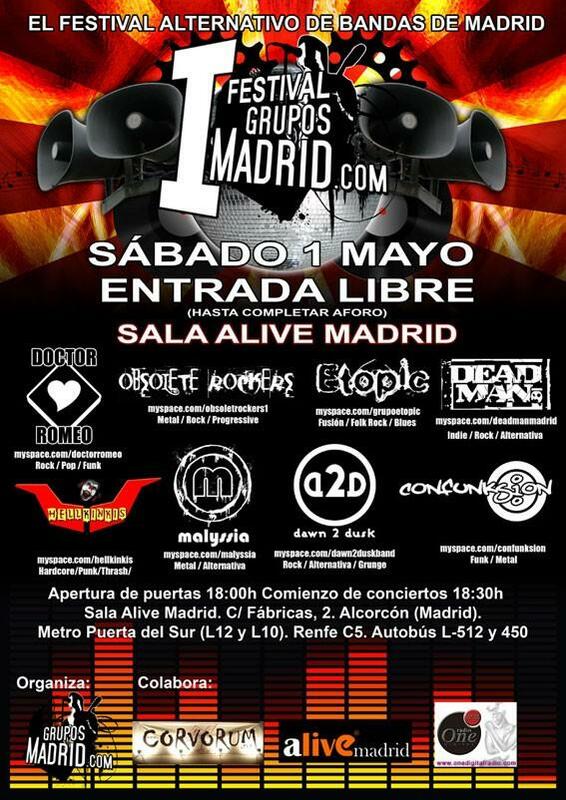 Here’s another deadman video – from our show at I Festival Gruposmadrid.com in Sala Alive Madrid in Alcorcon. It’s another song from our debut album, Walking Out The Door. Hope you enjoy the video! And check out the lyrics here! Check out some other videos on the deadman YouTube channel. Check out this new deadman review from the Indie Band Guru website under the title “Deadman – Dark Melodious Rock Does Exist In Spain”. Thanks Keith and Indie Band Guru – we reckon you’ve hit the nail right on the head there! 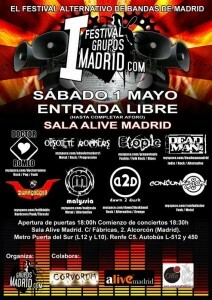 Check out this deadman video – You Know It’s You – live at the II Festival Gruposmadrid.com in Sala Alive Madrid in Alcorcon. Thanks to www.gruposmadrid.com for inviting us to play in the festival and watch this space for more videos from our set! Songs from the deadman debut album are being played in rotation on NBTMusicRadio. According to Martin from the station, the songs are spread them ALL over the NBTMusicRadio 24 hr stream and are also concentrated at 8PM Berlin Time (7 PM Uk 2 PM New York) AND 11 PM Berlin Time (10 PM UK 5 PM New York). Please listen and support all the other independent/unsigned artists the station plays, who as we prove everyday, can feature next to a well known star and be just as good (most times BETTER) creatively and production wise. More to come on the blog and NBT Review Page. Entre otras cosas nos preguntan de donde viene el proyecto, porque pensamos que hacer rock es peligroso y porque ponemos nuestro tema mas envolvente como el ultimo del disco. Una entrevista muy interesante, la verdad, con preguntas que nos hacen pensar! Y se puede descargar un tema nuestro gratis! Gracias de nuevo a Dani y El Oido Del Mundo para la deadman entrevista! Track 6 from our debut album is called Walking Out The Door – one of the last songs we wrote for the album. And that’s just a bit of it! All in all, a great deadman review! You can read the full review in The Kali Diaries blog!